ANOTHER AIRCRAFT KIT TO LOOK FORWARD to in 2016, the upcoming 1:72 scale Airfix Boeing B-17G Flying Fortress looks to be well waiting for. And that’s just as well, because release isn’t slated until Q3 2016, so it’ll probably be October 2016 before we see the kit in stores. 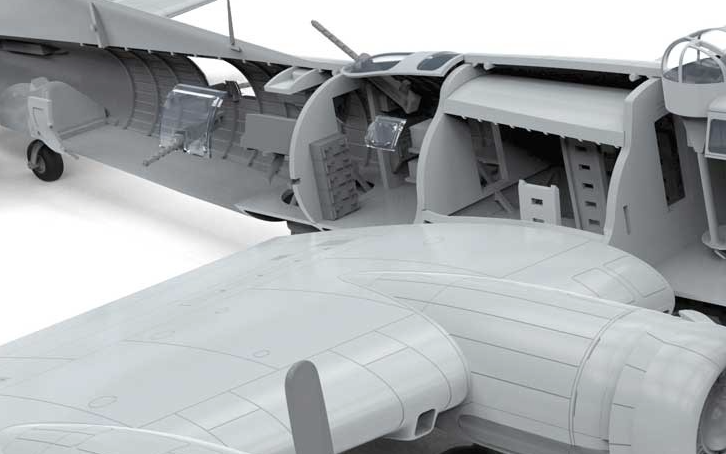 The big difference between this new B-17G and earlier Airfix releases is the attention to detail, particularly in the interior. As the cgi images (below) show, there is plenty to be seen - and with added crew in position, a finished model ought to be a Faberge jewel of vibrant interest. 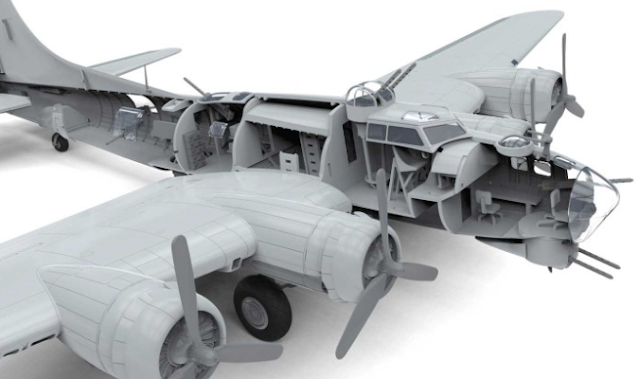 As for the real thing, Airfix has this to say, "…Arguably the most visible manifestation of American military might in the Second World War was the Boeing B-17 Flying Fortress four engine bomber. Operating in massed formations, these distinctive aircraft were designed to conduct daylight precision bombing missions against strategic enemy targets, with the ultimate aim of literally pounding them into submission. "As its name suggests, the Flying Fortress was bristling with defensive armament and it was intended that formations of B-17s could throw so much lead into the air that any attacking enemy aircraft would either be shot down, or simply fly away from their certain demise – although this thinking did not actually materialise in combat, it did help to give the B-17 a fearsome reputation. "Without doubt, the definitive version of the Flying Fortress was the B-17G and this last mass-produced version of the aircraft was manufactured in more numbers than all previous versions combined - the B-17G was a magnificent fighting aeroplane. Addressing all the shortcomings of the previous combat variants, the B-17G incorporated a number of significant improvements, specifically around the placement and upgrading of defensive armament. The combat experiences of crews flying the earlier versions of the B-17 were crucial in producing this definitive US heavy bomber." 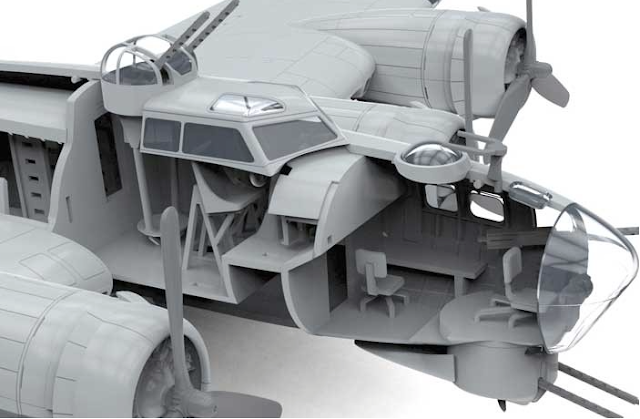 If these teaser images are anything to go by, the 'new digital' Airfix is working on a B-17G kit that's going to be better than ever. We're looking forward to the B-17G, and hope that the box may contain a transparent fuselage half, and - please - a full crew of ten, ready to take up in-flight positions. For the record, a B-17G typically flew with pilot and co-pilot, navigator, bombardier/nose gunner, flight engineer/top turret gunner, radio operator, two waist gunners, ball turret and tail gunners. And a wish list for 2017... perhaps Airfix will treat us to an upscaled 1:48 version.